Peter Garsden - provider of www.abuselaw.com: Who's being lined up to replace Butler-Sloss in the abuse inquiry? Who's being lined up to replace Butler-Sloss in the abuse inquiry? I have been speaking on BBC Radio Manchester and BBC News 24 about Lady Butler-Sloss’s resignation as appointed Chair of the abuse inquiry panel. The panel was appointed last week to examine the extent to which public institutions failed to investigate allegations of child abuse. Her resignation came after she faced tremendous pressure from victims’ groups because of a conflict of interest due to the fact that her brother, the late Sir Michael Havers was Attorney General during the 1980’s which was the period due to be examined by the panel. The decision to appoint a person to lead the enquiry was too hurried, yet had been proposed for at least 18 months. Not enough research was done by the government. Lady Butler Schloss has much experience of leading enquiries but is now 80 - whilst she has a razor sharp mind this enquiry would have taken several years. Would it be expecting too much of her? She has led the Cleveland enquiry which was somewhat controversial in its outcome. Children who allegedly had been abused were returned to their allegedly abusive parents. The process of evidence collection was found to be flawed and Social Services were heavily criticised. The outcome of the Princess Diana inquest was also controversial. 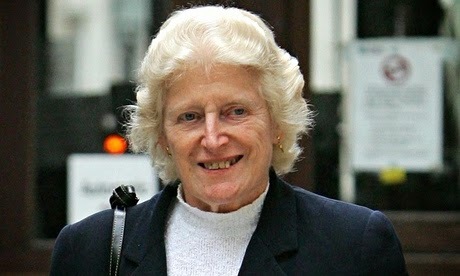 She was criticised for holding an inquest without a jury. Whilst her competence and ability is undoubted, however, the perception of the survivor group is more important than anything. The one thing which survivors of abuse hate is the abuse of power of the state or indeed any public authority. Any suspicion publicly aired makes Lady Butler Schloss's role untenable, sadly, as I am sure she would have done a good job. Victims of abuse have witnessed at a young age the abuse of power of an adult whom they trusted. Thus it becomes a typical feature of their personality that they distrust authority intensely. She are also, usually, over protective of their children, and tend to over risk assess situations. The former judge issued a statement announcing that she would withdraw from the post. She said that she had been honoured to be invited to chair the inquiry but commented: "It has become apparent over the last few days, however, that there is a widespread perception, particularly among victim and survivor groups, that I am not the right person to chair the inquiry. It has also become clear to me that I did not sufficiently consider whether my background and the fact my brother had been attorney general would cause difficulties." Theresa May, who had appointed Butler-Sloss last week has strongly defended her against criticism, she said: "I am deeply saddened by Baroness Butler-Sloss's decision to withdraw but understand and respect her reasons. Baroness Butler-Sloss is a woman of the highest integrity and compassion and continues to have an enormous contribution to make to public life. He has led a drive to change the way the Crown Prosecution Service investigate historical abuse. He is an eminent lawyer and QC. He appears to be well balanced. He is now independent in that he is back to being a practising barrister, having resigned from the CPS.